A filthy Cupertino pr0n-off between the shameless 1 GHz dual-core ARM Cortex-A9 Apple A5 (SoC) and the utterly wanton 1.3 GHz dual-core Apple-designed ARMv8 64-bit Apple A7 with M7 motion coprocessor. 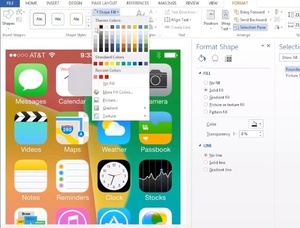 How To Create iOS7 In MS Word Misunderstood A Better iPhone 6 Homophobic SiЯi? 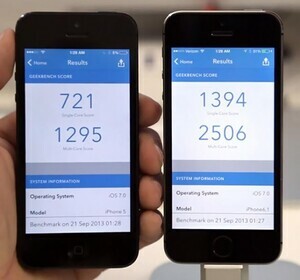 Posted in Tech, Video and tagged apple, comparison at 7:01 am on September 24, 2013 by Broadsheet.